If you’re currently working on a landscaping project then chances are you’re on the hunt for quality timber supplies in Sydney. Logs and sleepers are often a key component to create pathways, garden bed edges, features and even fencing in landscaping projects. We can help you choose the best timber products to get the job done. 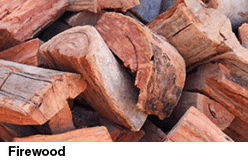 Turtle Nursery and Landscape Supplies are specialists in treated pine supplying products like logs, perfectly round logs, treated sawn pine timber and treated pine sleepers to Sydney landscapers. If you don’t have access to a ute or you’d prefer the convenience of delivery, then we’re happy to save you the hassle of hiring a trailer and hauling timber with our home delivery service. With ‘Perfect Round’ treated pine logs you can achieve a neat and trim effect in fencing, garden surrounds and for constructions like retaining walls. These Perfect Round Logs are machined to shave off the outer part of the log, to produce a smooth, straight, round log. The pine is treated with CCA to an H4 level against insects and decay, and is suitable for in-ground use in most applications. These logs are handy for fencing where treated pine posts are needed, and they come in a variety of sizes and lengths for use in many other landscaping applications. Winged splits are treated pine timber logs that are cut to have one curved surface and three flat ones. They make it a breeze to build a retaining wall that looks like it’s built out of full-sized logs. The two, flat-sided surfaces easily stack onto each other, allowing you to build a treated pine retaining wall, fence or construction, simply and effectively. Winged splits sizing is measured from flat to flat and available in 100mm and 125mm. The pine is treated to an H4 level against insects and decay, and is suitable for in-ground use in most applications. For jobs where you want to achieve a stronger retaining wall, but with the same finish, consider the Pine Slabs as they are twice as thick. Pine Slabs are an easy-to-use material for building strong retaining walls or garden beds. Pine Slabs start out as Perfect Round Logs but have two surfaces cut flat and two remain curved. The flat surfaces make for easy stacking when creating a sturdy retaining wall or pine log construction. They are also great for use as treated pine garden edging. These slabs are treated with CCA to an H4 standard against pests and decay. The 100mm and 125mm measurement is flat to flat. Other sizes are dressed and treated to Level H3 for above-ground uses. Pine is easy to work with and it holds nails, glue and stain well. Treated sawn pine is generally used in the construction of pergolas, fencing, awnings and other outdoor constructions. Treated pine softwood sleepers are thicker in size than the sawn pine timber and work well for sturdy jobs. This H4 treated pine comes in a range of sizes to suit your needs. It is suitable for in-ground uses such as retaining walls and raised garden beds and for making garden borders. All these timber sleepers are treated with CCA against insect and decay. For projects where personal contact is to be made, such as handrails, play areas, garden furniture or vegetable gardens, we recommend our ACQ (arsenic free) treated sleepers. ACQ (Alkaline Copper Quaternary) is an arsenic-free timber treatment and is a good alternative to CCA in cases where non-toxic options are important, such as for children’s play equipment, garden sleepers for vegetable gardens, picnic tables, garden furniture, exterior seating, decking boards or handrails. These ACQ pine sleepers are treated to H4 standard so, like CCA, they are suitable for in-ground use. 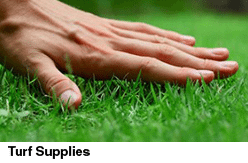 Contact us at Turtle Nursery and Landscape Supplies for more information or to place an order. Treated Pine Pegs are generally used in conjunction with treated pine sawn garden edging to create simple garden border separators. The pegs are used as stakes to hold the timber in place and have undergone H4 level CCA treatment, making them suitably equipped for in-ground use. They are often found in use in borders between paths or driveways and lawns. They also serve as useful markers, which can be hammered easily into the ground for measurements, alignments and various purposes.